The information here is written based on the Word processing software unit for candidates who are working towards a Level 2 or Level 3 diploma in Business and Administration or IT. 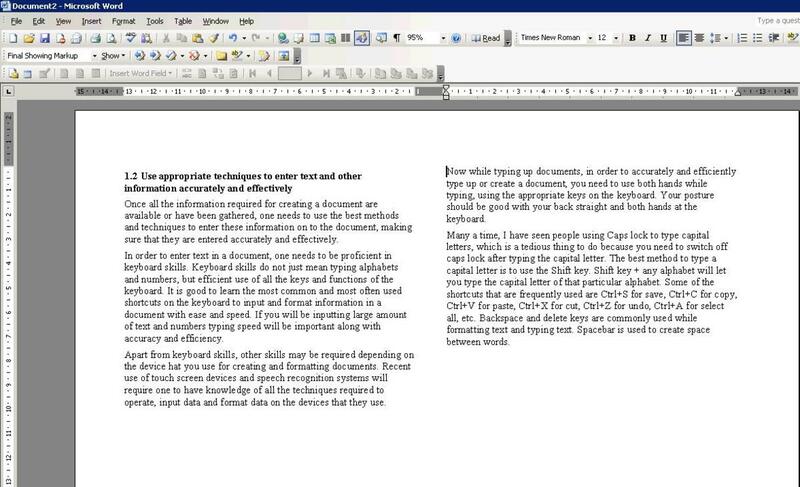 Candidates are expected to have word processing skills at an intermediate level, if they are an IT user. 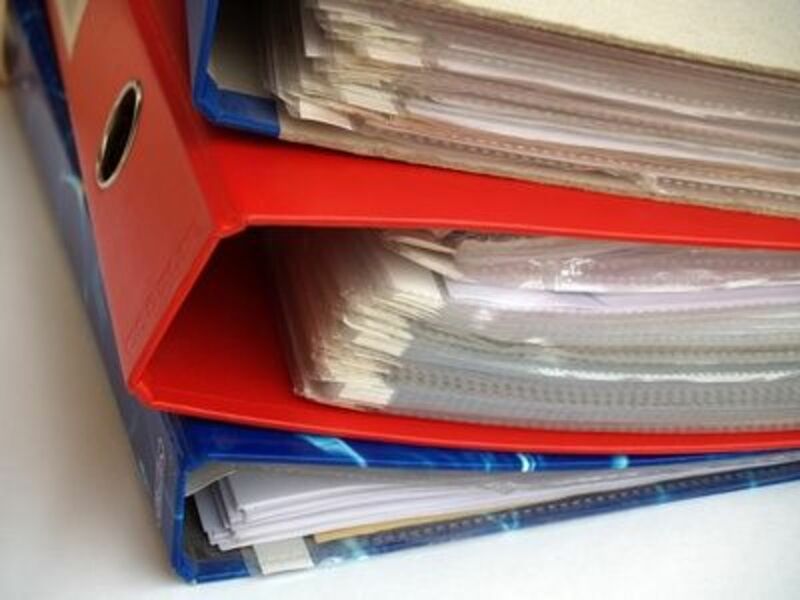 Assessment for most parts of this unit (covering all sections), are carried out by assigning tasks, observation and questioning and by looking through previously created documents by the candidate. 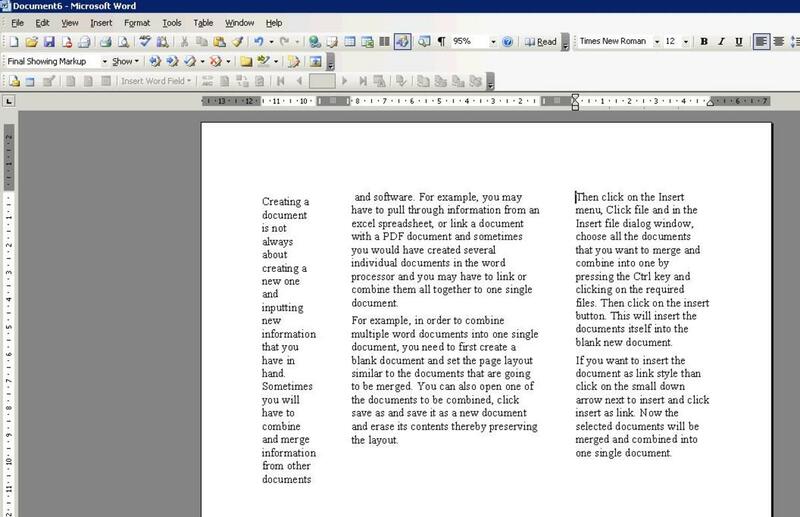 In this section, we will be looking at how to use a word processing application or software to format a document for presentation or printing or distribution. You need to make sure that the document looks meaningful, has meaningful contents and adheres to the standards set by the organisation. Also check for formatting, spell check, grammar check and other layouts before finalising. In order to have a look at the previous sections of this unit, please follow the links below. I have added screenshots and as much instructions as possible for ease of understanding. 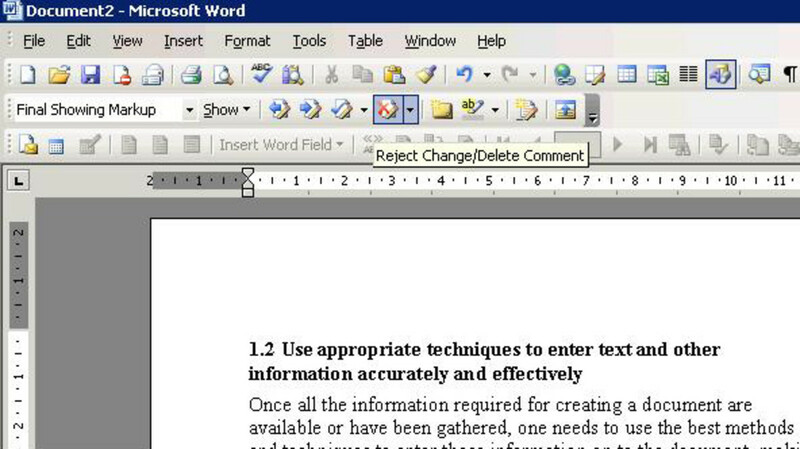 The screenshots are from Microsoft word 2003 as most organisations used Word 2003 to process documents. A document should be readable and look meaningful with neat layout, format, structure and styles. In order to achieve this, one needs to format the document in a way that it is and looks meaningful and formatting is one of the basic things that a document needs. Good formatting gives a clear outline to anyone who views the document. While formatting, make sure you set the margins to a desired standard, use correct tab positions, use headers and footers and footnotes where necessary. Apply styles wherever possible, like heading style, paragraph style, character styles, and check that the spacing between lines and paragraphs are acceptable. The text needs to be justified according to the needs and standards of the document. Choose appropriate font, font sizes and colour. For example, do not use stylish and funky looking fonts in a professional document. Make best use of bold fonts, italics, underlines (if necessary) wherever necessary. You can highlight important text, use bullets and numbering to clearly list points for ease of readability. Use tables, graphs and charts along with graphics wherever possible to explain concepts, compare figures and to showcase certain information precisely. Borders, shading and backgrounds are not a must, but these can improve the looks of the document and make one want to read. Align text depending on the type of document. For example, newspaper articles come in columns and not paragraphs. Another important factor to be considered is, whether you use a template, or have created your own template or are creating a document from scratch, you need to design the document for purpose. For example, an invoice should look like an invoice with the correct layout, standards and information, a letter should look like a letter with information placed in the correct format and standard, a written article or journal has to adhere to the standards of the journal and so on. We have just looked at why formatting is important and what factors need to be considered or remembered while formatting a document. Once you know the purpose of the document, the layout and structure, a visual imagination of the final look of the document and what sort of formatting the document requires, you will then need to make use of the appropriate techniques that are available to format the characters and paragraphs of the document. Formatting can be just changing individual characters or words or paragraphs or pages in a document and it changes the total look of the document. 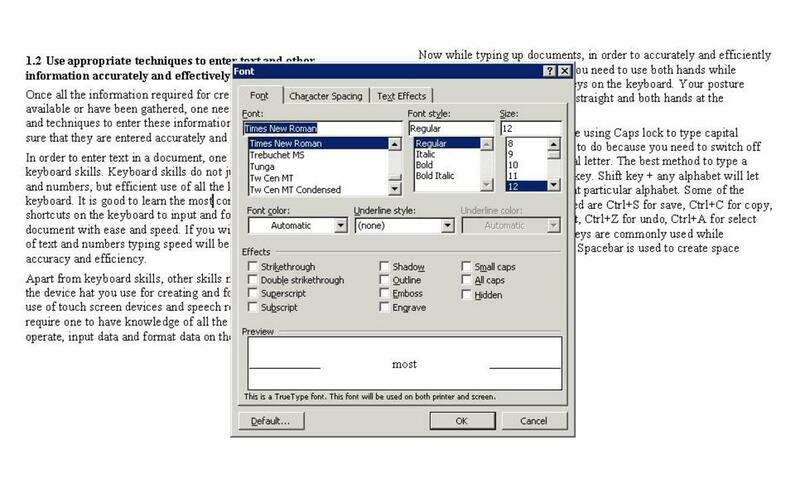 Formatting options and flexibility greatly depend on the type and version of the word processor one will be using. Some applications have more features than the other and latest versions have more features than older versions. 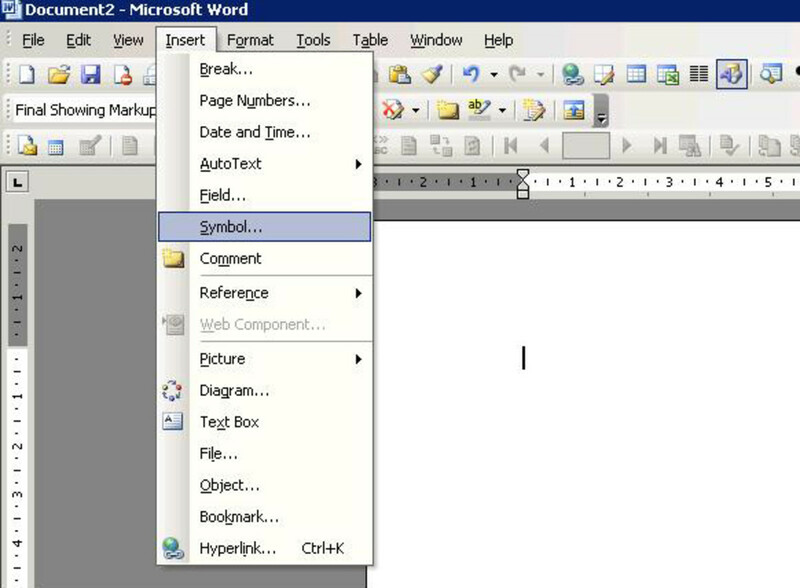 Wordpad is a basic word processing tool that comes along with windows and it has almost all the basic tools required to format a document. 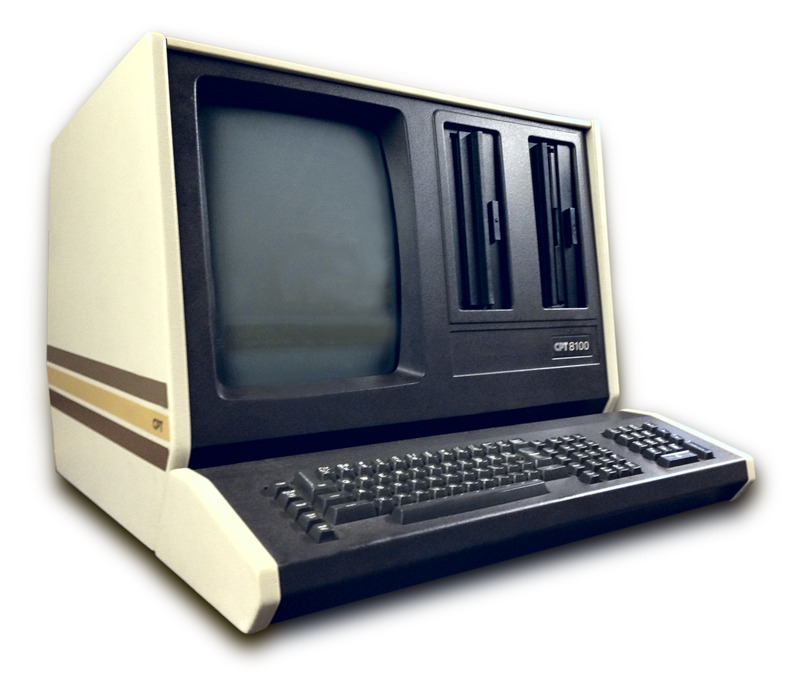 Also other commercial applications will have all the features that Wordpad has and more. 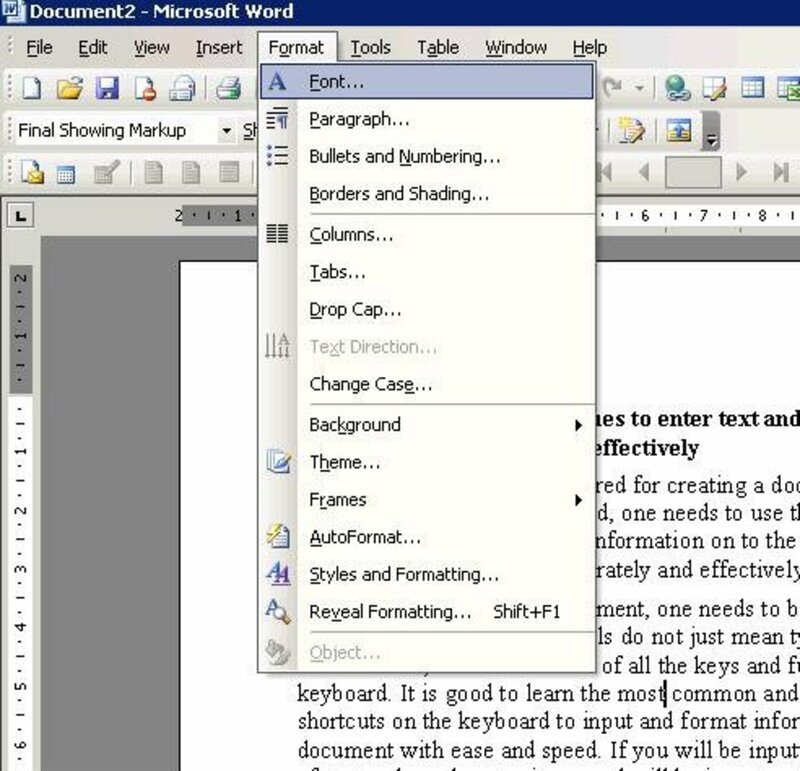 Word processing applications come with a formatting toolbar that have a few buttons for formatting. When you move the mouse over each button, it will display a tool tip text to say what each button is used for. 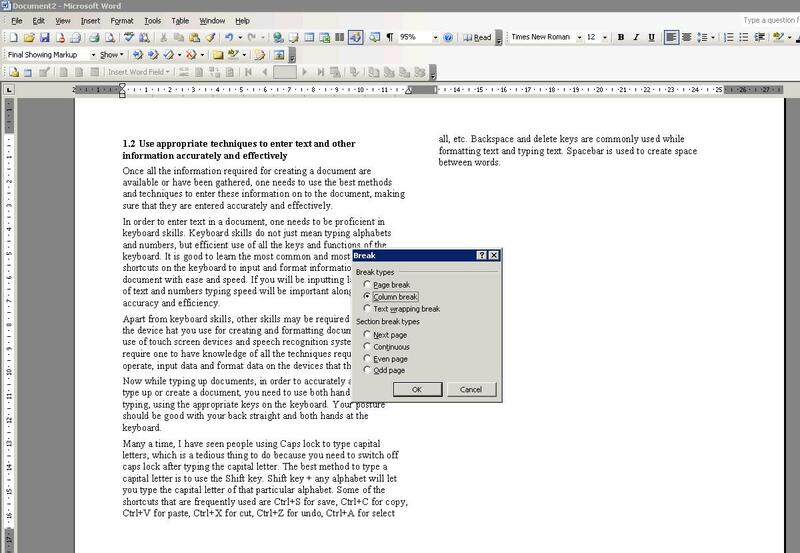 Characters can be formatted by changing the size of the characters (font size), changing the type of the character (font style), adding colours to characters to enhance the document, using the simple tools like bold, italics and underline to highlight important parts or areas of the document (to make summarised reading easier), there is also the highlight option to highlight a specific area or words or parts of the document that require more attention, etc. Apart from these, when you use subscript and superscripts, (more often these are used in areas where there are formulae or other mathematical calculations), you need to make use of the subscript and superscript tool on the formatting toolbar. There are also symbols that you can use in areas where you require a symbol to be inserted. Go to Insert -> Symbol -> Choose the symbol that you wish to display. Learning shortcut keys to these simple tools can come in handy. 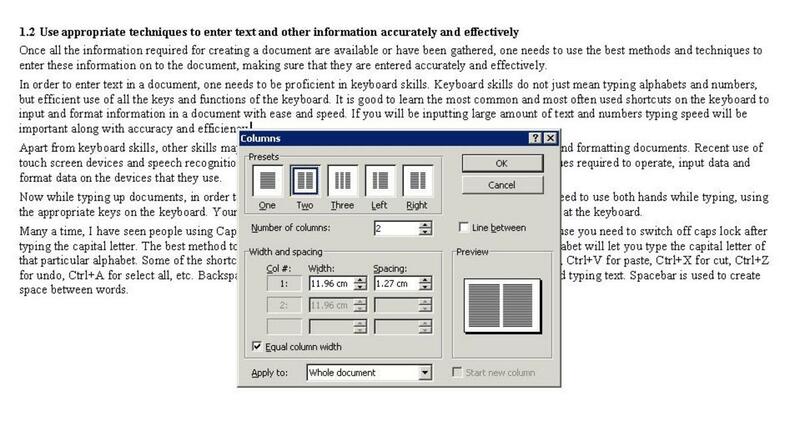 You do not need to keep clicking on the toolbar to apply formatting, but you can apply them faster by pressing the keys on your keyboard. For example, you have a selected area of the text or characters that need to appear bold. All you need to do is, select the required text and press Ctrl+B. Ctrl+B is shortcut key for bold. Similarly, Ctrl+I for italics, Ctrl+U for underline, etc. These are easy to remember too. For example, Ctrl + the first letter of the action, for example Ctrl+B for Bold, where B stands for Bold, Ctrl+I for italics where I stands for Italics, etc. 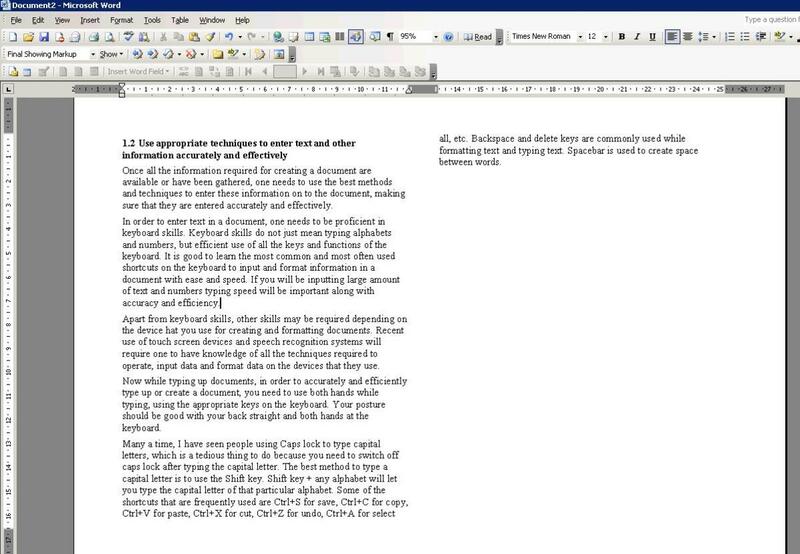 Also there is a Format menu, that has more options to apply formatting to fonts and paragraphs. The next aspect of formatting after formatting characters is formatting the paragraphs. The text in the paragraph need to be aligned and you have three options for that; align left, align right and centre. Mostly documents are left aligned as that helps with easy reading. Wherever there is a list of items, format them by either bullets or numbering as this will give a neat and standard look to the document. 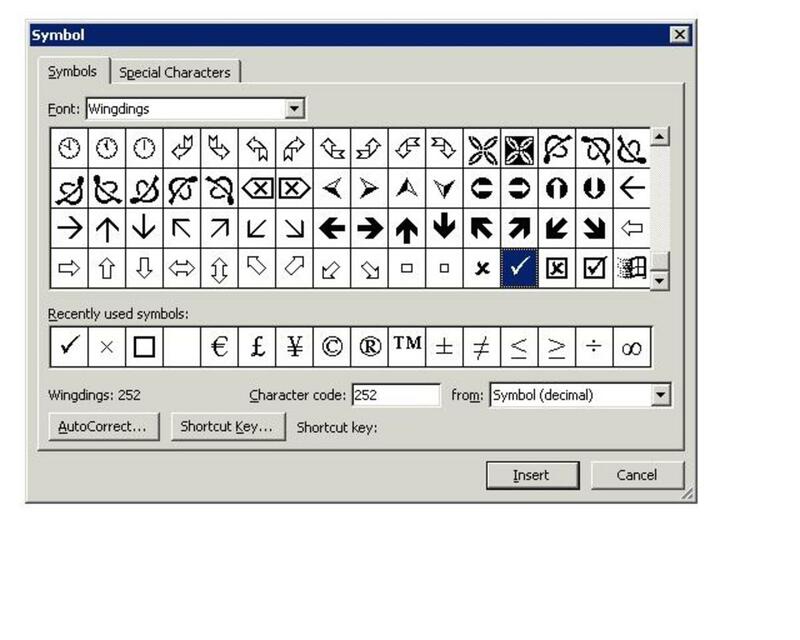 In case of online documents, bulleting and numbering will aid the assistive technology software to recognise these as a list. The next formatting is line spacing which is very important. There are standards for different documents. 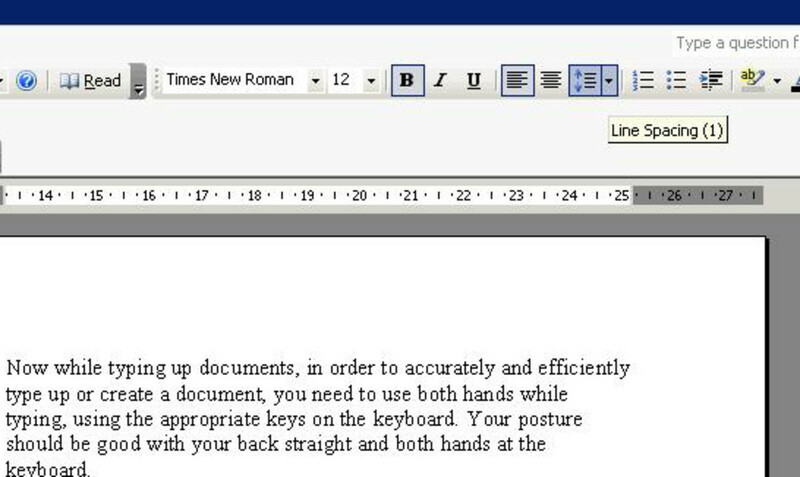 By default, in Word 2003, the line spacing is somewhere between 1 and 1.5. If you need to change the line spacing, you can do so, using the Line spacing tool on the formatting toolbar. Borders and shading for pages and tables can be applied using the borders and shading option in the Format menu. Next is the widows and orphans control that needs to be set to paragraphs. For example, if we have a paragraph with just three lines, if the last line of the paragraph is split to the next page (widow), it will not look good and it also makes reading difficult. Also having just one word on the last line of a paragraph (orphan) can make the document look odd. 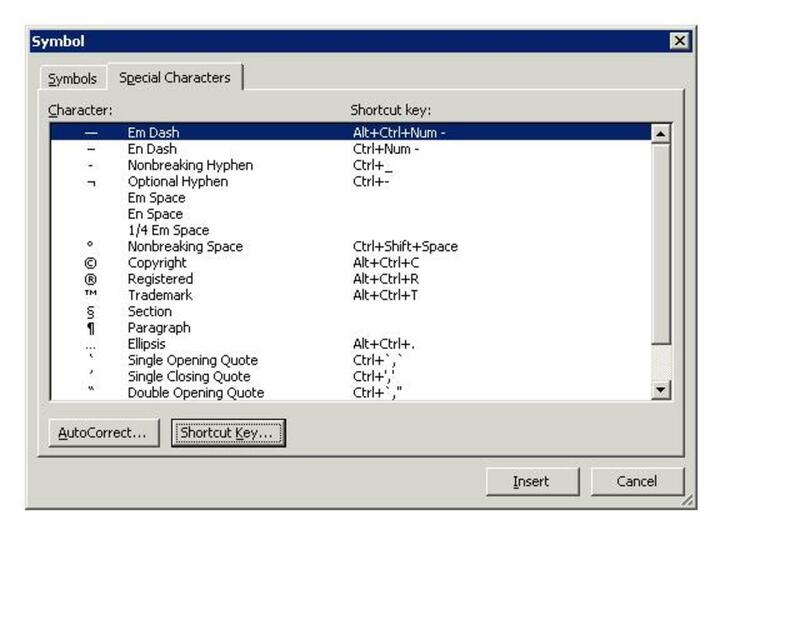 In order to avoid these you can use the widow/orphan control in the paragraph formatting area. 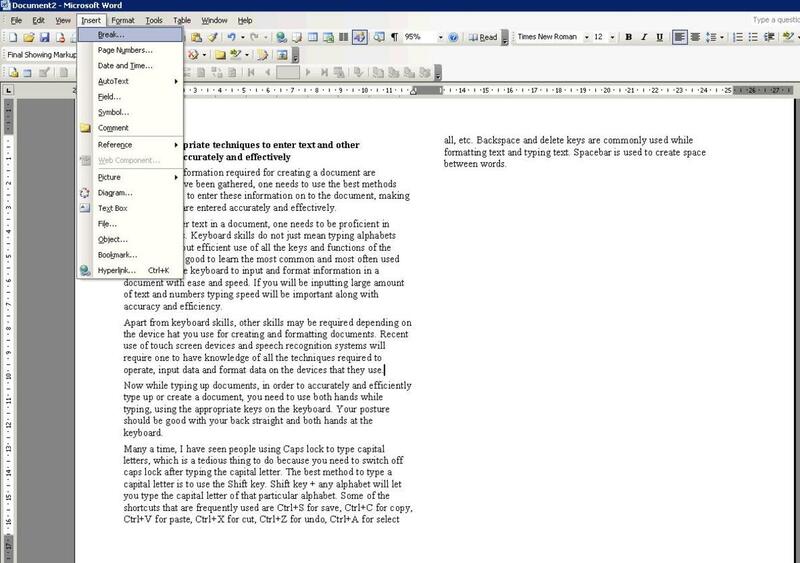 Tabs and indents are another set of tools that are used to format paragraphs. There are four types of indents; Left indent, Right indent, First Line indent, and Hanging indent. The left and right indents specify the space for the paragraph in between the margins of the space. The first line indent is used to indent the first line of a paragraph and the hanging indent helps to indent the lines that follow the first line of the paragraph, especially used when bulleting or numbering. Tabs are used to control how text is placed in a document. They align text along the different tab locations. You can set the tabs in the Tabs dialog box. Apart from these, make sure you have the correct spelling, grammar and punctuation all through the document. Check even minor errors, for example, check to see that all sentences start with a capital letter and end with a full-stop. Errors can reflect on the organisations standards and have a serious effect. Simple formatting can create a huge difference to the overall presentation and feel of the document. Now that the document is ready with all the necessary and appropriate formatting and styles, you need to know how to select pages and sections for presentation or printing. Depending on the type of documents, you will have to add columns, to all or part of the document. You may have to insert page breaks and column breaks at certain locations in a document. You will need to keep an eye on the margin size, page numbers and also most importantly include headers, footers and footnotes depending on the document and its requirements. File -> Page Setup -> Margins -> Here you will have to set the size of the margin for your document. You can also change the orientation for different pages, as in some cases, tables or charts or other statistical representations will have to be documented in landscape layout. Format -> Columns -> Choose the number of columns and also select if whole document or from that point onwards and click ok.
You can also set the width of the columns manually. 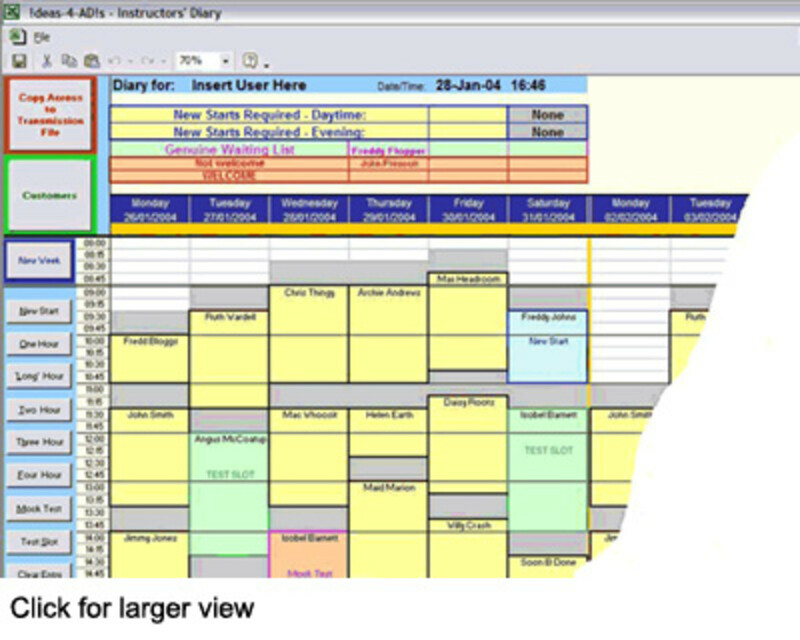 In order to apply columns to a particular section in a document, select that particular section and then apply columns. Column breaks can be added to break a column at a particular point and carry the text over to the next column. Check to see if the images and other graphics are aligned in proper locations, and also make sure that they are in alignment with the text in the document. 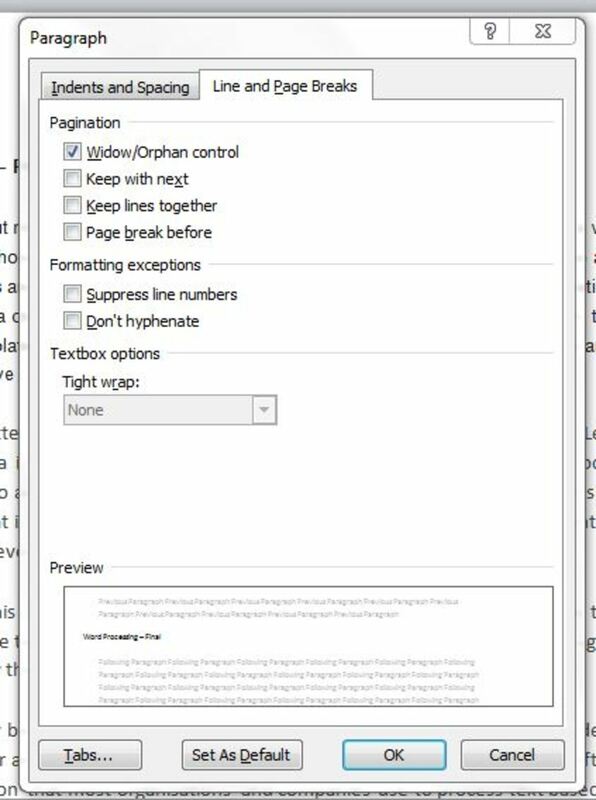 Page breaks can be added to areas where you want the text or contents of the document to break and move on to the next page. 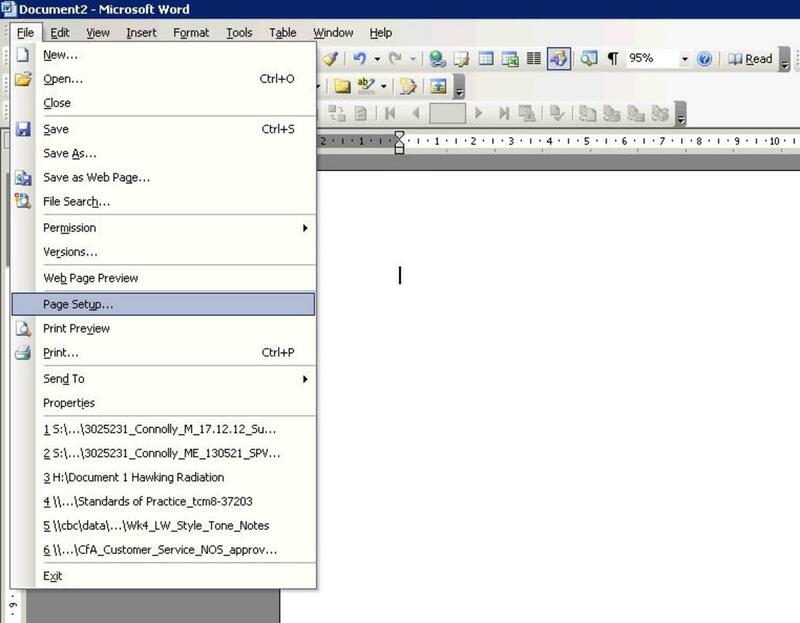 Insert header and footer for texts that need to appear at the top and bottom of all pages in the document. Some documents may require footnotes for reference. In these cases, insert foot notes to the documents. Page numbers are an important part of a document that has multiple pages. 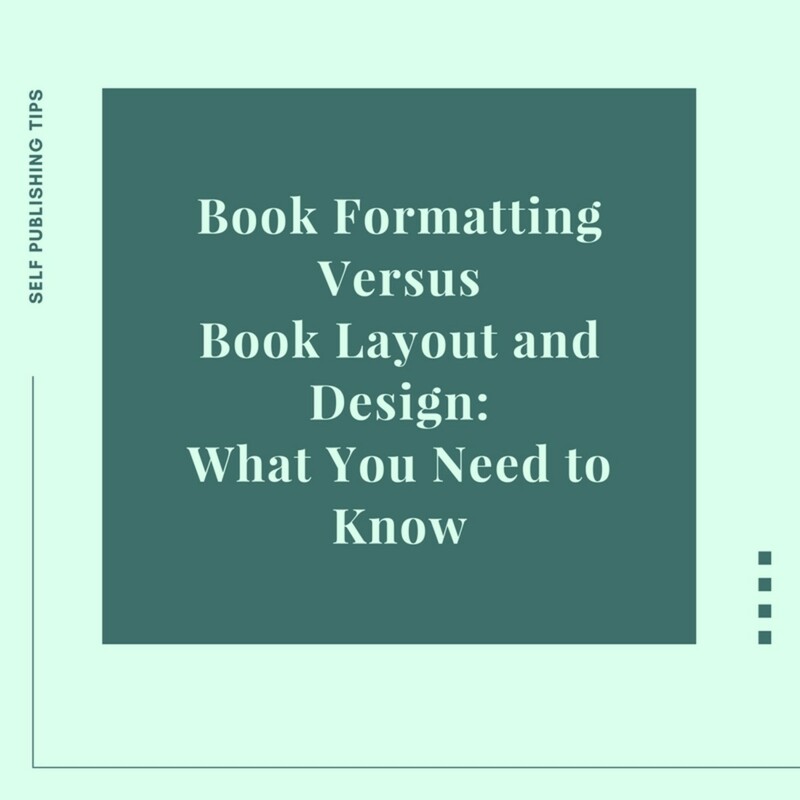 When setting up the layout of a document, one needs to decide the format and layout, depending on how the document will be used. For example, if the document will be printed, it has to be formatted to be printed on a standard size paper. If the document is to be published in papers, then the layout and formatting have to be according to that. Documents that will be published on a web page have to be formatted accordingly as different displays, will change the size and resolution of the document and hence simple formats and layouts are recommended for web publishing. Also one needs to take into consideration, the size of the document and images in a document, because if the size is too large, the web page will take time to load. So care needs to be taken to resize the images without much loss in quality. 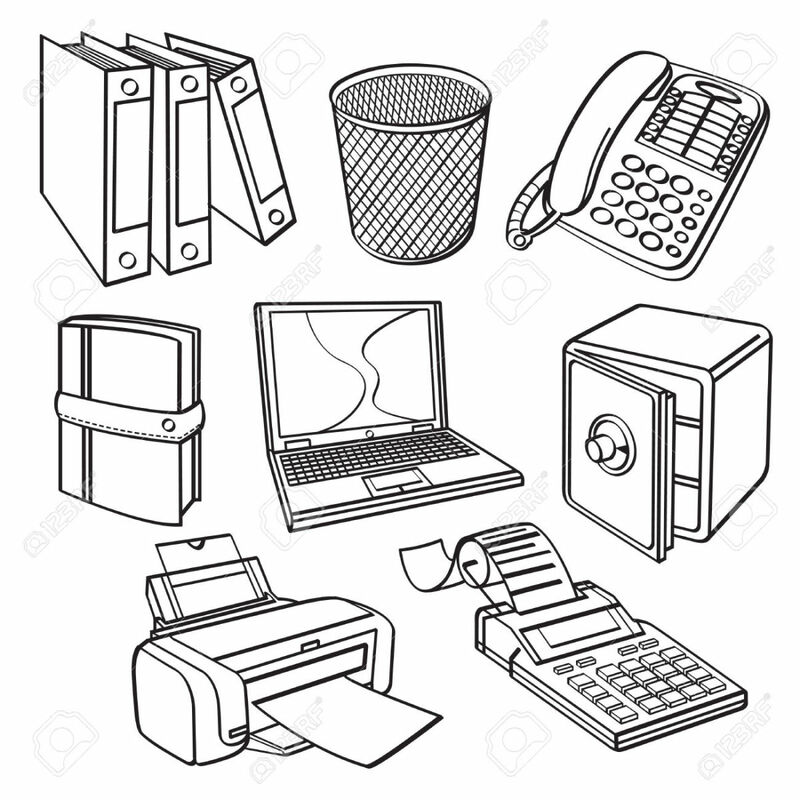 If you need to print a document, there are various ways in which you can print a document. 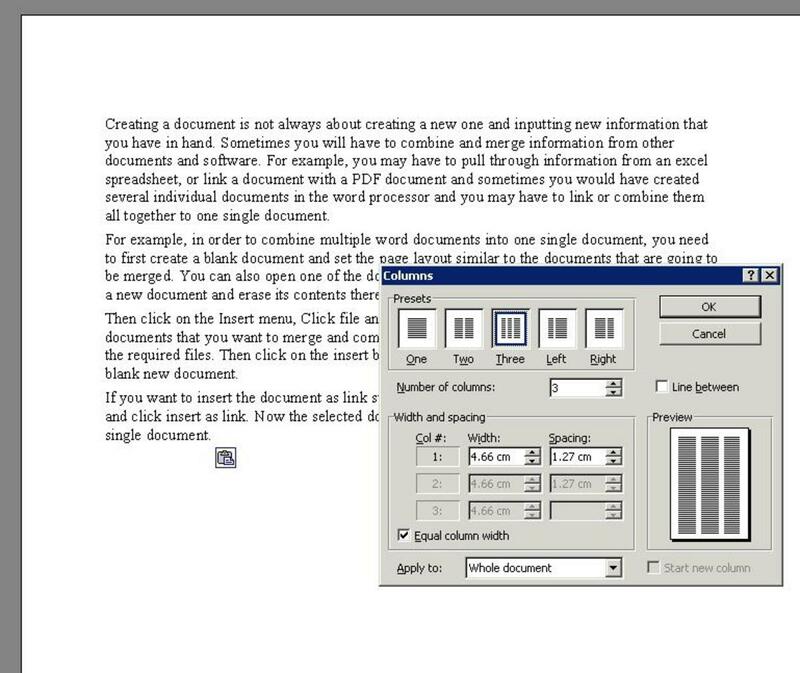 According to the needs, you can print a selection of pages, or part of a page, that is just the selected text, or the whole document. You can print single sided or double sided documents. 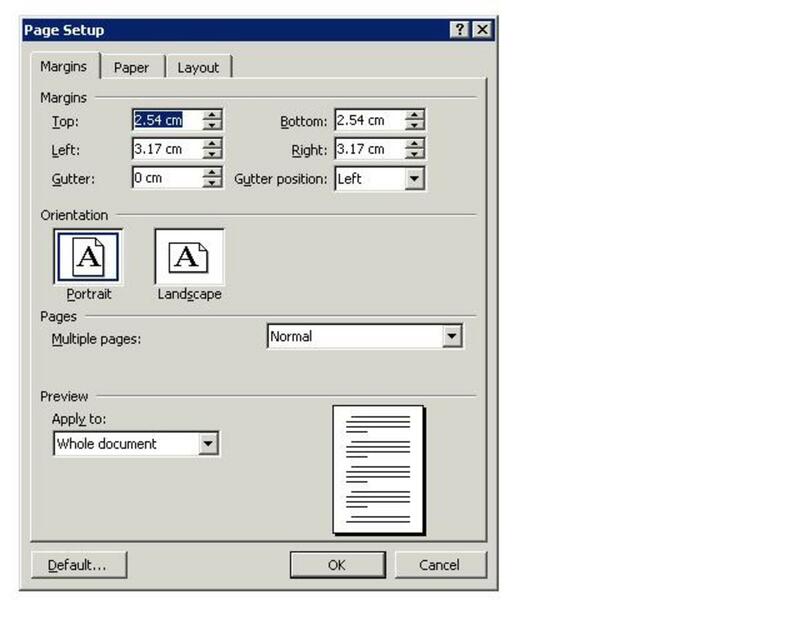 The print dialog box has all the options and settings that one needs to do or can do before printing off a document. Also documents that need to be printed should not have animated or flickering text, as this will not print properly on the document. Check that images are captioned and marked. Check that links or URLs if any are working. Have a look at the document in print preview to see if it looks satisfactory. Save the document with a file name that is meaningful and that the file name does not have space or special characters. Check for document properties like author, title, language, etc. and also check the table of contents. One always needs to make sure before printing, if printing is necessary, as saving paper can save the environment. Document formatting not in place while printing – when you format your document and do not apply the required formatting or styles in the correct manner, the document can then look poor with data mislaid and of low quality with text, images, objects and characters out of place. Spelling, punctuation and grammar errors, poor formatting and use of styles – These errors if not rectified can reflect on the quality of the organisation and its employees. Contents of document not sufficient or not adhering to standards – Always make sure that you use high quality and standard information in the document so that the reader is content with what they expected. Information in document being wrong and quality of contents being poor – Data in the document need to be error free and all information need to be recent and updated ones. Poor quality and wrong information in a document will not attract readers and will also brand the document worthless. Colours not being the same on original and printed document – This is an issue most of us face while printing documents. If the colours are not good, one needs to check printer settings, and use quality ink and compatible ink designed for that particular printer and paper. Paper quality can affect colours too. Images being blurred or distorted, quality of images being low, image size being different, alignment being distorted – These errors are due to formatting and style settings and alignment settings in the document. If all the settings are error free and the correct procedures are followed while creating and formatting the document, these types of errors can be avoided. Time – Errors in document while creating a document will make one go through all the settings, formatting and other issues in the document, thereby consuming a lot of time. So in order to save time, one needs to do their best and create quality documents reviewing each part and step while creating the document itself. Before printing or distributing a document, one needs to check the document thoroughly to see if it meets the needs of the audience and the organisation or for whatever purpose it was created. We have already seen what steps need to be taken and what need to be avoided to make a document look good with high quality content. You need to use the tools available in the word processing software that you are using to make sure that the document meets the needs and requirements. Spell check and grammar check – This is a very useful tool, however, the word processor may not always highlight all the mistakes and hence manual spell check and grammar check is advisable. Check for misuse of capitals, punctuation marks, grammar and other related errors. Check for errors a few time and ask other people to proofread too, as many errors are difficult to be seen by the person who created the document. You can put the document aside for a few days and then check for errors when you are in a different frame of mind. This will help you to identify errors easily. Also there are many words that sound alike, but have different spelling and meanings. You need to be very careful, as the readers will then not understand what you meant. Always use the correct spelling. Errors can lead to miscommunication and have a huge impact on the organisation and its business. Reading the document aloud will also reveal errors that you did not identify while reading only visually. Language and dictionary – The language used should be professional language. Slangs and casual language have to be avoided. Some words are spelt differently in U.S and U.K English and hence setting up language and dictionary settings will be of great help. Accuracy and consistency – You need to read through the document to see if the information provided is sufficient, if it is clear and if it needs improvement. This will help the reader understand what message you are trying to get across. Font and font size – Fonts used and font sizes have to be standard. Make sure you do not use stylish or funky fonts for professional documents. The size should be neither too small, not too large, but be standard. Font colours need to be standard too. Hyphenation – Always use bullets and numbers for lists rather than using hyphens. This will format the document neatly with appropriate indents and tabs. Using bullets and numbers also tells assistive technology software, that it is a list. Page layout and margins – Please follow the standard values and orientations for margins and layouts. Check that headers, footers and footnotes are error free and aligned correctly. Line breaks, page breaks, column breaks and paragraph breaks – These are useful tools to format the document with a neat look. Use these tools wherever necessary to avoid widows and orphans. Tables, images, other graphics – Make sure that all settings for these objects are correct and that they are aligned correctly with the other characters and text in the document. While adding images and graphics in documents, you need to check the text settings in and around the images and objects. 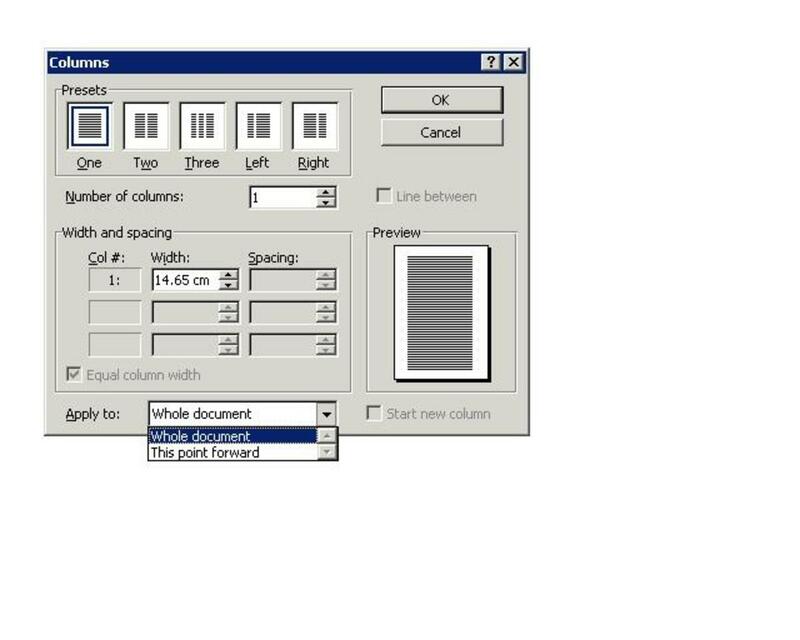 Print layout – After everything has been checked and rectified, look at the document in print layout form. This will show you exactly how the document will look like when it is being printed. You can also make settings to the print layout and printing paper, etc., in the print dialog box. If the document does not look satisfactory, you will have to go back and change settings until the document becomes error free and is correctly formatted. Once all the checks are done and one feels that the document is ready to be printed or distributed or published, you can go ahead and do that. Sometimes, there are situations where the audience or the user would have felt that a different style or structure or layout would have been better. In those situations, you may receive queries and feedback asking if this could be improved or changed. Always take feedback in a positive way and learn from it. One needs to keep in mind that they are creating a document for an audience and it has to please the audience and not you and so all these factors need to be taken into account while creating a document. When quality problems are raised, listen to them and act accordingly. You need to act appropriately and respond appropriately to issues. The user or audience may just want a different structure or style, just because they find it easy to use or read. They may need image sizes to be different, as sometimes huge images or their orientations can be distracting. When it comes to figures, for the sake of accuracy, some users may request for more than two decimal points. Sometimes there may be minor errors in calculations. So you learn about your audience when you receive feedback and you know how to avoid these errors in the future for these audience, or you know what layout to use for different audience. Did you find the information here useful? 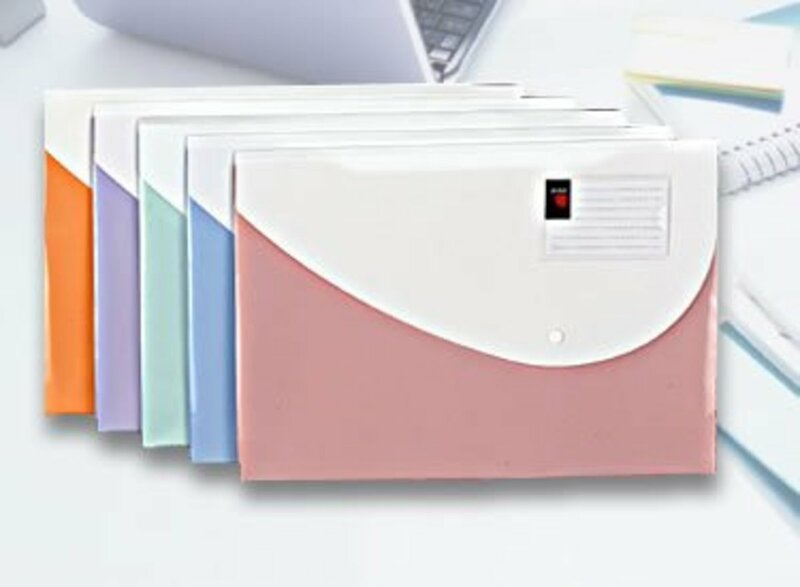 Another common problem that we all come across in our day to day business activities are, documents failing to open. This is to do with compatibility issues or conflict with the software in which the document was created or document is being opened. In situations like these, it is best to contact the receiver, go through with them the software they are using, ask for what errors are popping up and solve the issue. You can convert the document to a different compatible format and send it again, or if the receiver is able to do that, you can guide them through that process. I am repeating this point here; try to save the documents always in as simple a format as possible. Stay calm and act according to the query. There may be times when you used a particular style or structure or format or orientation for a particular reason or purpose. You can explain this to the user (not argue) and see if they understand the fact and are willing to accept. All these will finally create a document that will adhere to the standards and will have met all the quality requirements for purpose. Always remember, Quality is important, because it ensures the capability of the business! 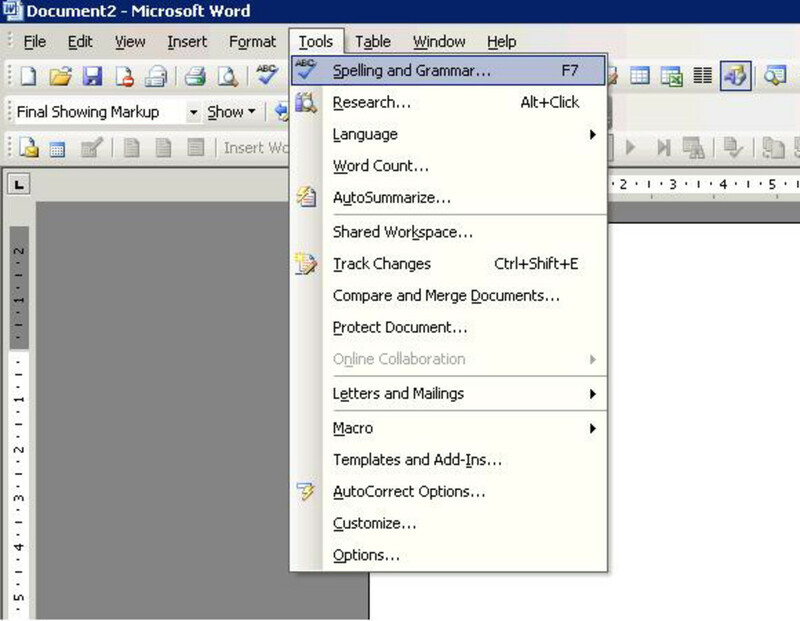 How to use a word processing application or software to format a document for presentation or printing or distribution. How to make sure that the document looks meaningful, has meaningful contents and adheres to the standards set by the organisation. Checking for formatting, spell check, grammar check and other layouts before finalising. Please do not hesitate to leave your comments and feedback. If you have any queries, please feel free to ask.